Extra Spicy Dry Chili Chicken. Served with White Rice. Spicy. The Chinatown location is so so much better than the one on Michigan Ave. We won't order from Michigan anymore. With Chinatown the spice level is perfect. The chicken crispy and there's sauce in the bottom of the container. Their mapo tofu is the best. It's super saucy and comforting. I also love their garlic eggplant, which is also super saucy with beautiful purple eggplant. They were on time and found the place easily. I always get Tony's 3 Chili Chicken and it is always amazing. I can't even eat at the Chinese restaurants near my house anymore because Lao Sze Chuan has caused me to raise my standards. Yum! Exceptional food and service. Delivery was quick. The food was delicious. 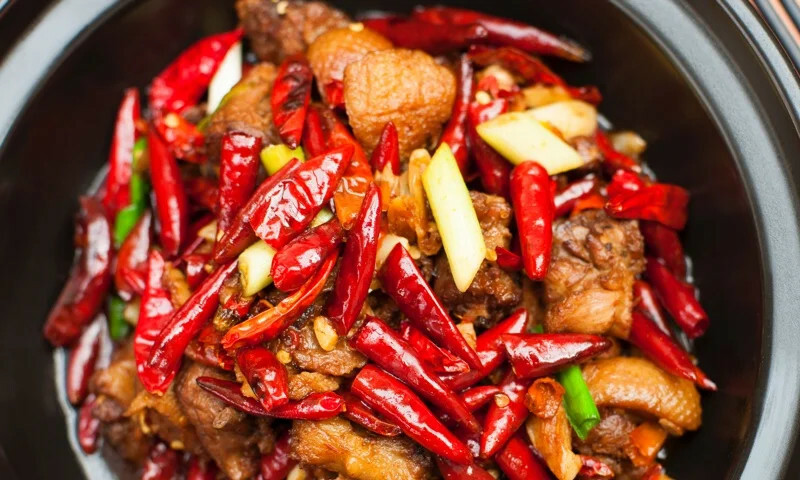 Whether you're craving a quick bite or looking to treat yourself to a delicious meal, you can now order your Lao Sze Chuan Chinatown favorites for takeout or delivery.